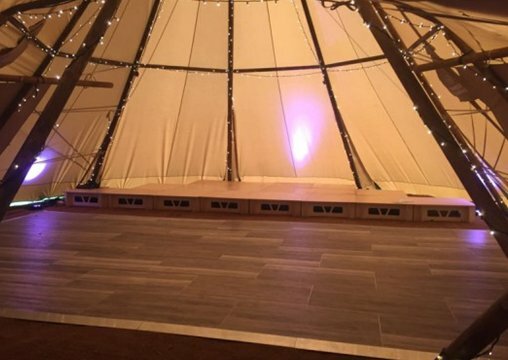 We are proud to be the first company in the UK, currently offering a purpose built outside dance floor for hire, finished in a wood effect. This dance floor is completely waterproof and heat proof so wont warp from direct sun light and is interlocked and will not separate. 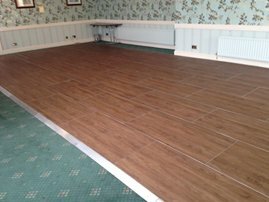 This floor is available in 2ft x 2ft (600mm x 600mm) sections. 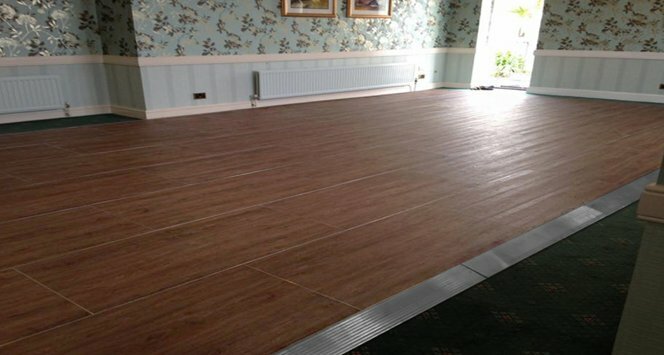 We will deliver and professionally fit this outside dance floor to the location of your choice. 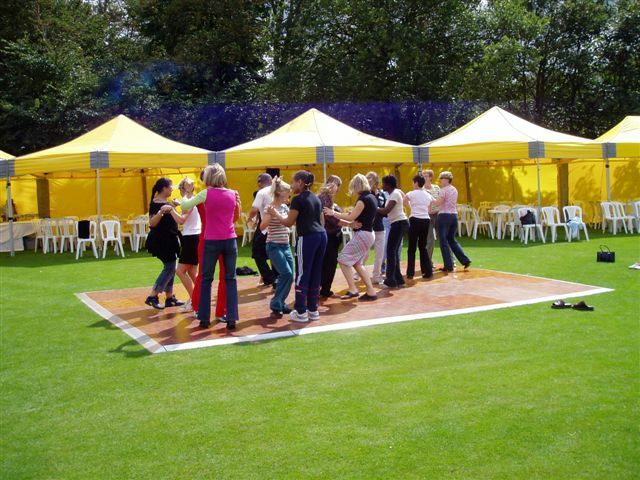 Make a show of things with quality outside flooring for your event.